Our team at Elite Fire Training believe it is important to give back to the local community that supports us. The sports clubs we support provide great facilities and training and also help generate community spirit with their social functions. We strongly believe that community groups help nurture community spirit. 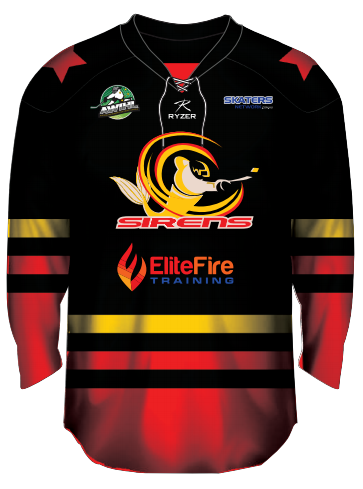 We currently sponsor our favourite local sports club the Sydney Sirens in the Australian Women's Ice Hockey League based in Sydney. Following a great win at the Australian Women's Ice Hockey League (AWIHL) Final in March 2017, the team is now the national champions! We are excited to work together with the club in the 2017 to 2018 season.